Here are some suggestions for books and travel guides if you would like to read up on Croatia, the coast and islands of Dalmatia, the region’s history, and so on. The books are in no particular recommended order and are not required reading! 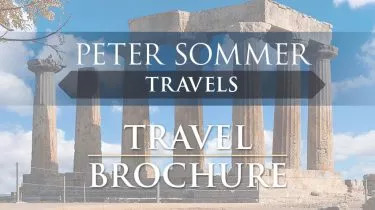 Bradt Travel Guides: Croatia Piers Letcher – one of the first English-language guides to the country, now in its 6th edition and almost certainly the best available introduction to the country and its sights. The Rough Guide to Croatia Jonathan Bousefield – a comprehensive and very competently organised classic guidebook to the country, especially useful for the independent traveller. National Geographic Traveler: Croatia Rudolf Abraham – better not to be used as a stand-alone guidebook, but a good and interesting complement. Bradt City Guide: Zagreb Piers Letcher & Sarah Parkes – The only widely available city guide in English. Worth getting if you stay in Zagreb for more than a day. Marco Polo Pocket Guides: Dubrovnik and the Dalmatian Coast – a handy overview of the region most of our cruises traverse. A Traveller’s History of Croatia Benjamin Curtis – Highly accessible and well-written, this little book provides a perfect and very useful aid in unravelling Croatia’s notoriously complex history. Definitely worth a look. Dubrovnik: A History Robin Harris – a comprehensive, but readable history of the city, from its ancient origins via the commercial and cultural heyday of the Republic of Ragusa to its demise. If there is one in-depth history book to consider bringing on your cruise, it should be this one! Croatia: A Nation forged in War Marcus Tanner – a compelling account of Croatia’s turbulent history from medieval days onwards, with a special focus on the creation of the modern Croatian identity. The complexities of Croatia’s history and the interplay of conflict and cooperation with bits Balkans neighbours, but especially the linguistic connection with Serbia, make it a little difficult to identify a specifically Croatian literature at all periods: the earliest Croatian poems are often seen as pioneering Slavic literature as a whole. As in so many other fields, Croatia did its part in contributing to a greater whole, and these contributions could variously be more or less locally and ethnically definable in character. An Anthology of Croatian Literature Henry Cooper (editor) – unique in English: a cross-section of Croatian writing through the ages. Girl at War Sara Nović – one of the US literary sensations of 2015, this debut novel is a compelling story of a girl’s life, from a carefree Zagreb childhood through the fateful events of the 1990s war to a bittersweet return over a decade later. According to the New York Times: ” Girl at War” performs the miracle of making the stories of broken lives in a distant country feel as large and universal as myth”. Chasing a Croatian Girl: a Survivor’s Tale Cody McClain Brown – a humourous but very affectionate account of an American trying to make a new home in Croatia.